Actress Alberta Watson has passed away at the age of 60 after a long battle with cancer. She was best known for her role on 24 as CTU boss Erin Driscoll and Nikita as Senator Madeline Pierce. 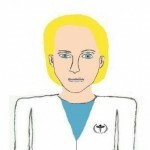 I had gradually started envisioning Watson in the role of Limis Vircona during a binge-watching of 24, as she had numerous characteristic with Driscoll. She and Jack Bauer were more alike than either was prepared to admit–both strongly results oriented leaders. At the beginning of Day 4, Driscoll on doing things by the book, and on holding Bauer accountable for his indiscretions, which included the shooting of the future Captain Richard Robau. But on seeing the positive results that came out of Bauer’s improvisational torture methods, Driscoll had started to approve of more extreme methods of interrogating various persons of interest, including the hippie son of the Secretary of Defense and one of her own employees suspected of being a double agent. While the character was never seen again after her daughter’s suicide, it would have been interesting to see how this incident would have hardened Driscoll even more down the road. 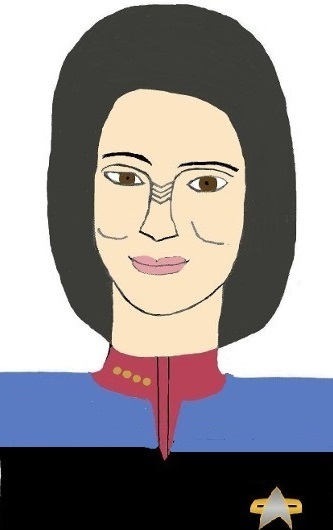 Throughout my Star Trek: Lambda Paz fan fiction series, Captain Limis Vircona had exhibited similar characteristics to that of Erin Driscoll–a hardened and stoic demeanor, a results oriented leader who was willing to push envelop to deliver positive results. The first such instance was in using torture to extract information vital to the war effort from a prisoner, which would have long-ranging personal and legal ramifications. While publicly deploring the actions and methods of Section 31, Limis had admittedly accepted help from them and will approve of their methods when convenient. In any case, there will be no “recasting” of the character since it is only fan-fiction. Similarly, some have said they could envision no one besides Andreas Katsulas in the role of Tomalak, a major player in Romulan political intrigue in more recent Trek novels.